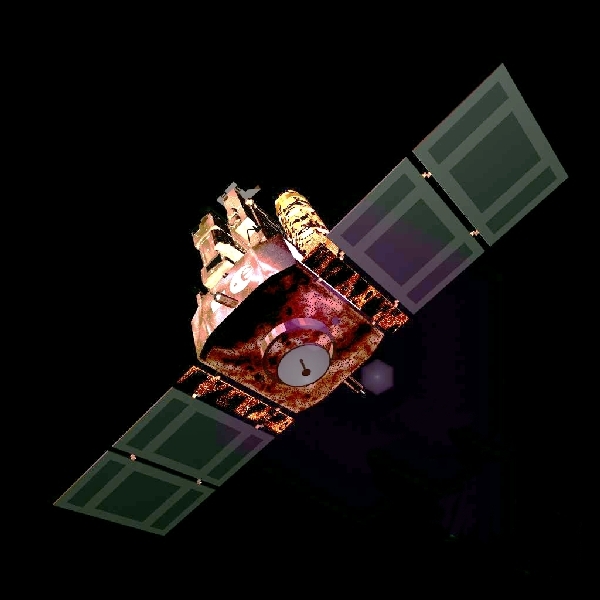 Spacecraft illustration -- SOHO was launched in December 1995 by an Atlas Centaur rocket and became operational in March 1996. SOHO weighs about two tons and with its solar panels extended stands about 25 feet across. It was launched in December, 1995. SOHO will continue operating well past the next solar maximum in 2001.